Located at Marinella di Selinunte, a hamlet of Castelvetrano , the Momentum Resort offers you an unforgettable holiday in a luxury resort in the heart of western Sicily. Just minutes from the stunning Selinunte Archaeological Park, the largest in Europe (270 hectares), an ideal hotel location in Selinunte, and close to the Riserva Naturale Orientata Foce del Belice e Dune Limitrofe, featuring fine sandy beaches and crystal clear waters, delineating one of the most beautiful natural coastlines in all of Sicily. Conveniently reachable from the motorway (the Castelvetrano exit is just 10 minutes away), the resort is the perfect starting point for a holiday discovering the hidden treasures of Sicily: beaches, nature reserves, archaeological sites and historical centers of incomparable beauty, all situated within a maximum of one and a half hours by car. 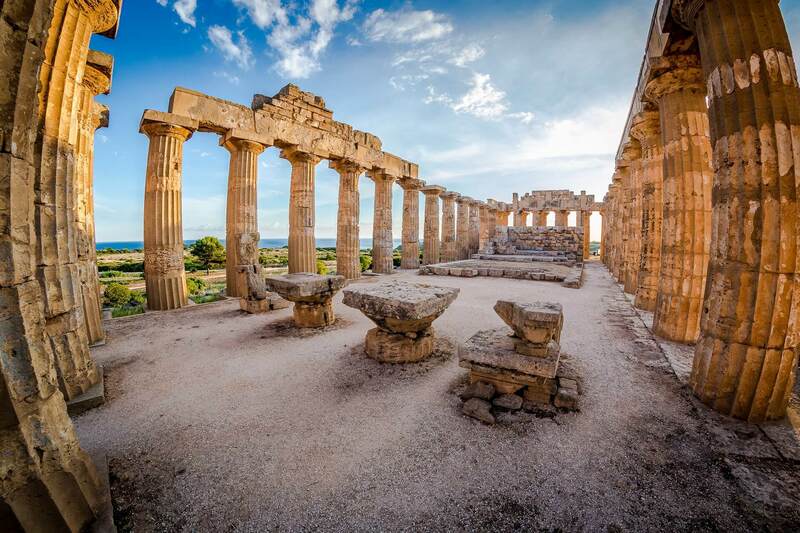 Along with Selinunte and the nearby Cave di Cusa, other locations that are well worth a day visit include the Archeological Park of Segesta (40 minutes), the island of San Pantaleo with ruins of Motya (one hour), and the marvelous Valley of the Temples at Agrigento (one hour and a quarter). Western Sicily is full of beautiful beaches: in addition to the Belice River Reserve, just one hour's drive from the resort are the renowned Scala dei Turchi, and the Torre Salsa and Zingaro Nature Reserves. San Vito Lo Capo is an hour and a half away, whereas the port of Trapani is an hour's drive, with ferries departing for the Egadi islands. The beautiful city center of Castelvetrano, is just 30 minutes away, while Mazara del Vallo, Sciacca, Gibellina and Cretto di Burri are all reachable in 30 minutes. At just an hour's drive are Marsala with its famous salt pans, Trapani and the charming village of Erice. 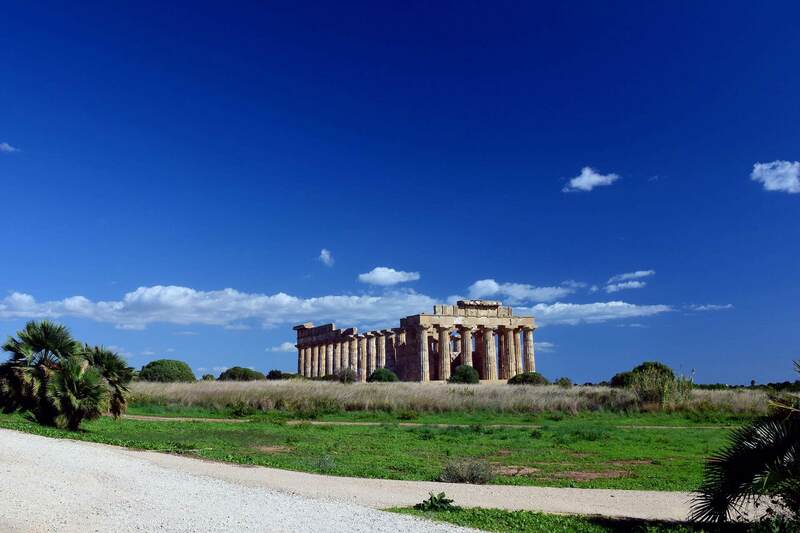 Agrigento and the Valley of the Temples are reachable in an hour and a quarter, whereas Palermo is an hour and a half away. The nearest airports are those of Trapani and Palermo, from which it's possible to rent a car to reach the resort in an hour, following the directions under "By car". Alternatively we provide a private shuttle service , to be reserved in advance by contacting our reception desk. From theA29 motorway Palermo-Mazara del Vallo, exit at Castelvetrano and follow the SS115 state road towards Marinella di Selinunte for 8 km to the resort. 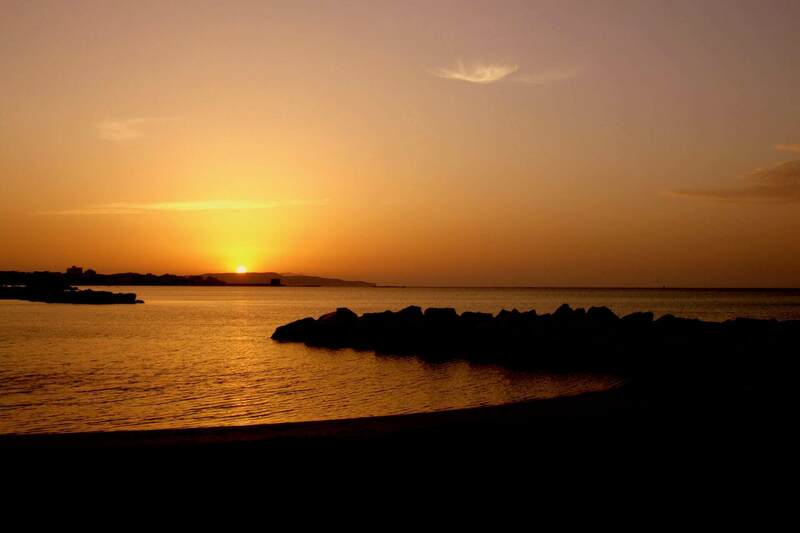 The nearest station to the resort is that of di Castelvetrano, from which Marinella di Selinunte can be reached by taxi, bus (Autoservizi Salemi) or private shuttle service.